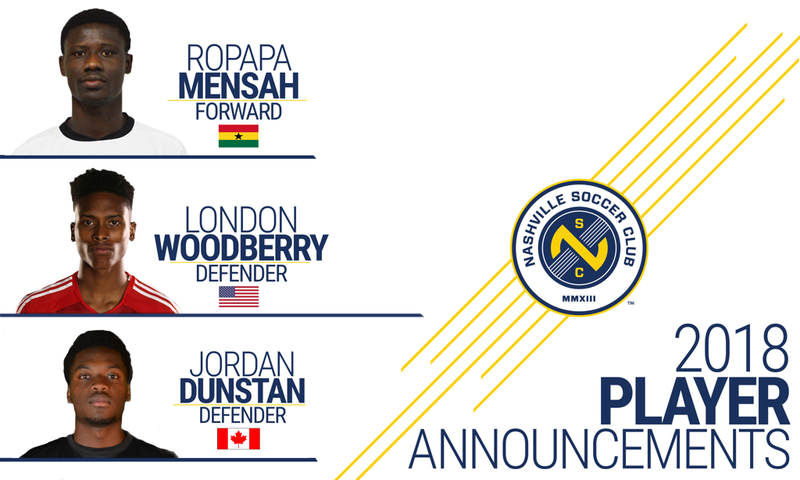 NASHVILLE (Jan. 16, 2018) – Nashville SC of the United Soccer League (USL) announced the addition of 20-year-old Ghanaian striker Ropapa Mensah on loan and the signings of former MLS defender London Woodberry and fellow defender Jordan Dunstan pending USL and federation approval. 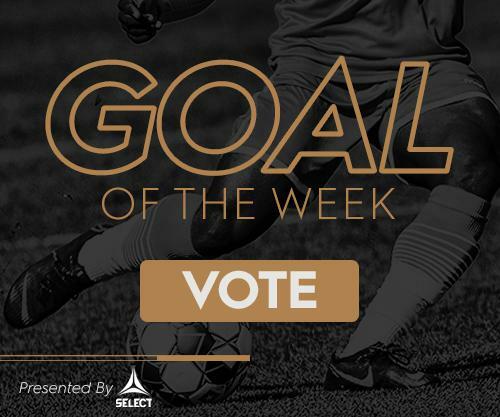 Mensah gives Nashville SC another premier scoring threat at the striker position. On loan from Inter Allies in Ghana, with an option to buy, he becomes the club’s first player in on loan for 2018. 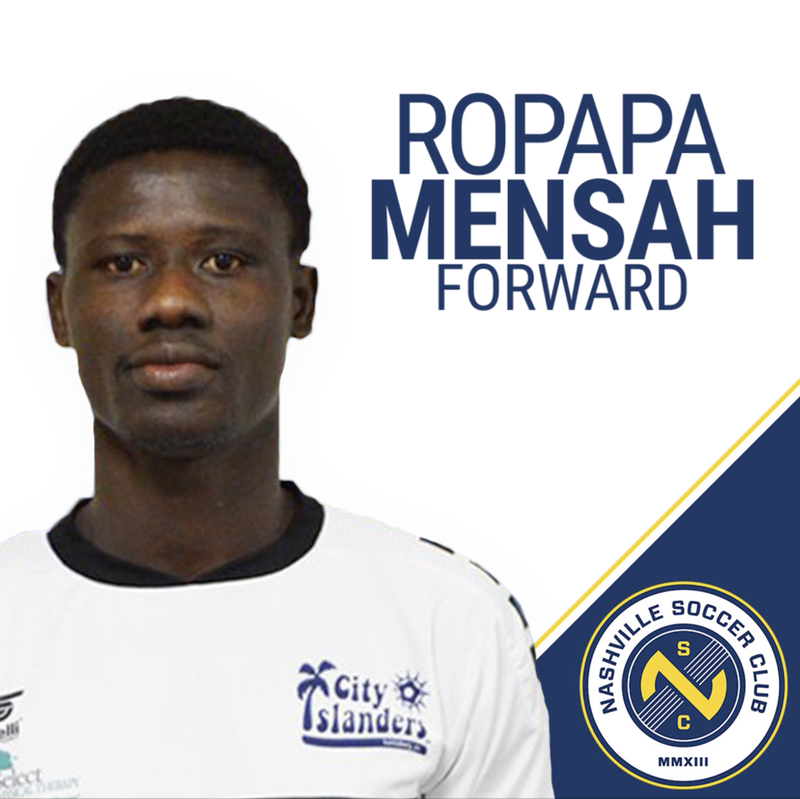 Last season, on loan with Harrisburg City Islanders, now Penn FC, Mensah proved his offensive explosiveness. In just 19 appearances, Mensah led the team in scoring with seven goals and added two assists. His 47 shots and 23 shots on goal also led Harrisburg City in 2017, and his 207 minutes per goal were the fewest on the club. Coach Smith's Thoughts: "Ropapa is a very talented and young forward with attributes that offer him every opportunity to be a real fan favorite. He is quick, strong and clinical in front of the goal and will be a real handful for any defense in the USL." 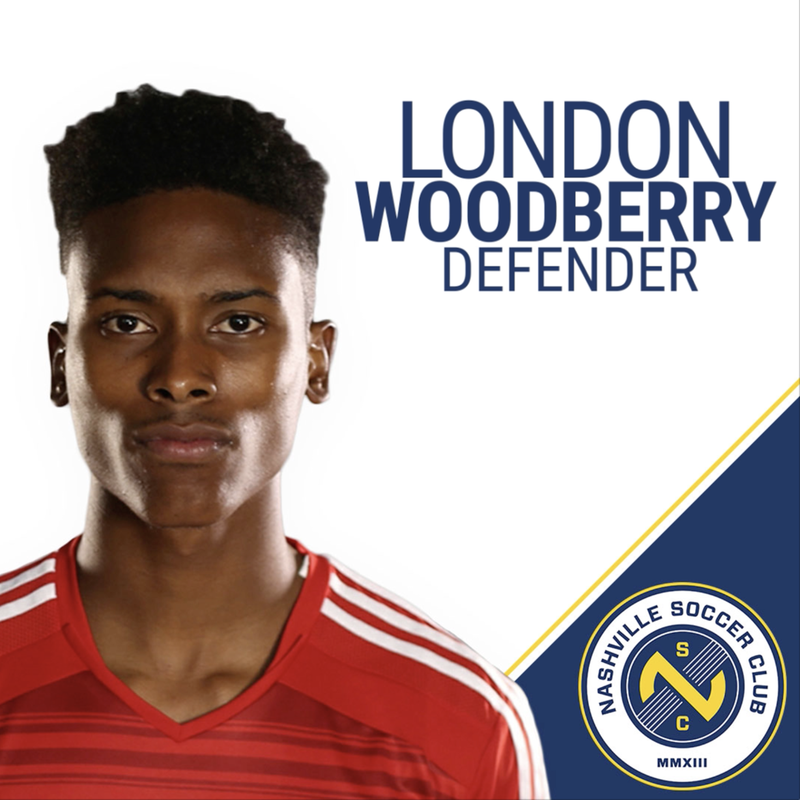 Woodberry, 26, joins the Nashville SC defensive ranks that have seen time in the MLS. From McKinney, Texas, the defender started his career at the FC Dallas youth academy, making his MLS debut in 2013 for FC Dallas. The last three seasons he has made 46 appearances for New England Revolution, including a career high 25 appearances in 2016. Internationally, Woodberry made three appearances for the U.S. Men’s National Team U-18 team during the Australian International Olympic Festival, scoring a goal during the squad’s gold medal run in 2008. Coach Smith's Thoughts: "At 26, London is in the prime of his career. With over 50 MLS appearances already to his name, he has excellent experience. He is a wonderful athlete and comfortable in possession, qualities which make him a great addition to the group." Dunstan, 24, will stay in-state to play his professional soccer. 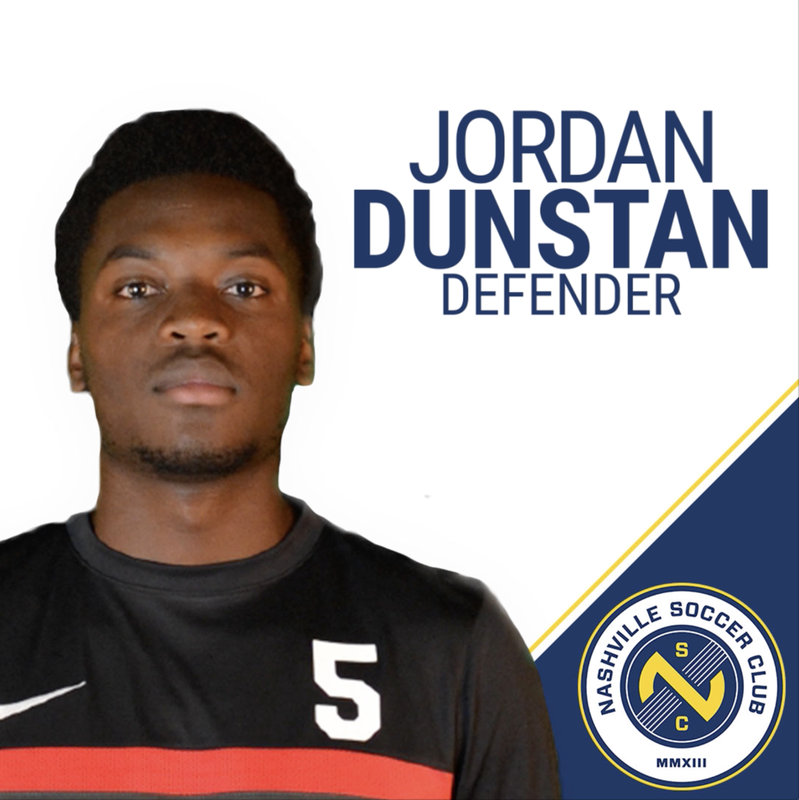 Previously a member of Chattanooga FC of the National Premier Soccer League (NPSL) for the last three seasons, Dunstan played his college soccer in Dayton, Tenn. at Bryan College from 2014-17. He was named named Defensive Player of the Year in the Appalachian Athletic Conference in 2016. Coach Smith's Thoughts: "Jordan is a big, powerful, left-footed outside or center back with great potential. I have high expectations for his first professional season and look forward to seeing Jordan grow into a formidable defender."